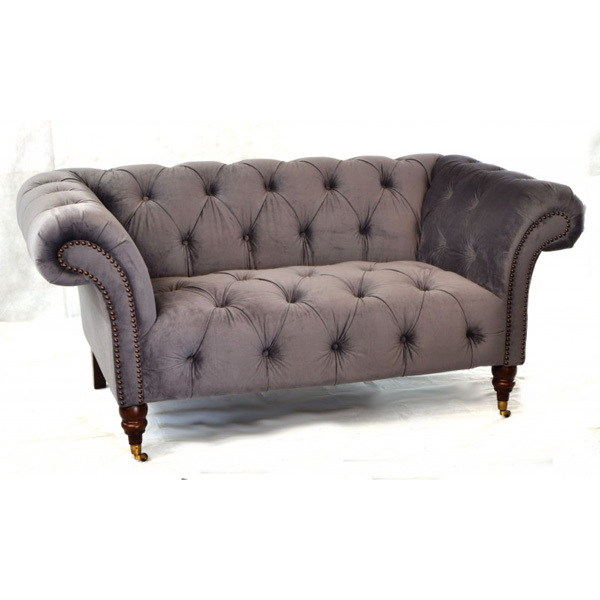 Fill a favourite corner with a refined seat for two that combines elegant detailing, classic designs as well as comfort. Timeless looks to cherish in beautiful shades such as duck egg mist, mink, natural, sand and ruby. 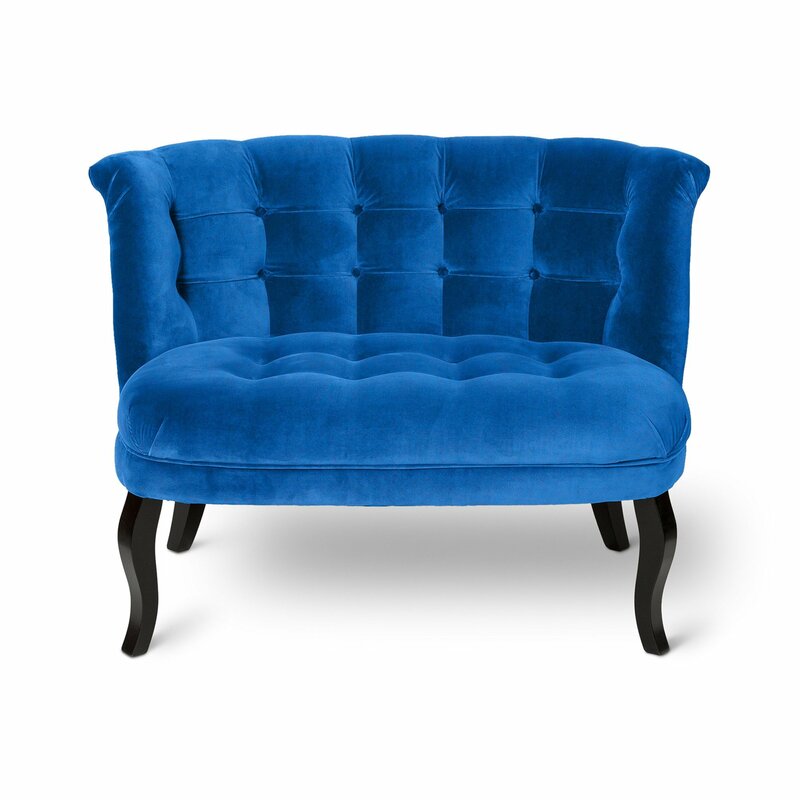 The Vienna love seat is a sumptuous and stylish small sofa that adds a romantic touch to your home. Available in a wide range of colours in floral and stripe. 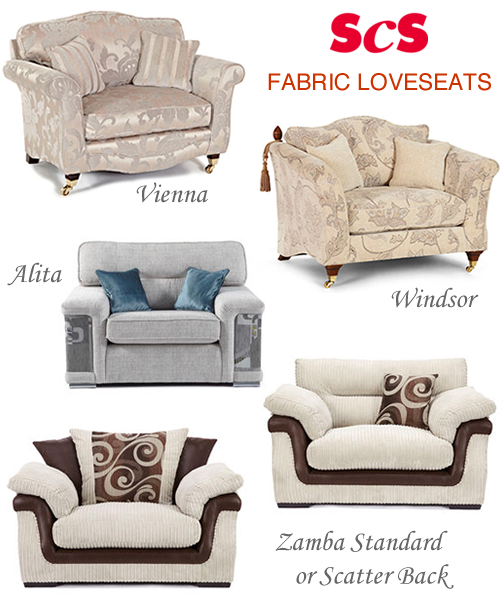 Made in the UK with fibre filled seat and back cushions for extra comfort. 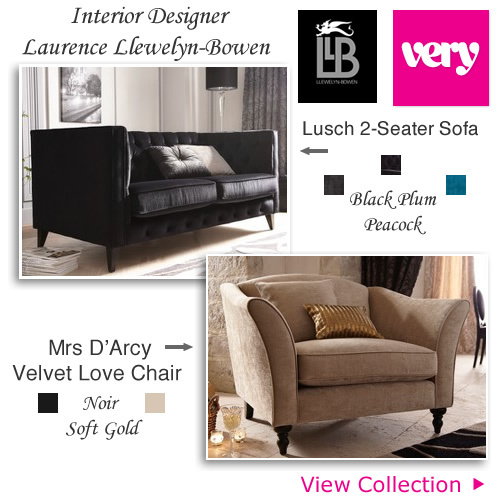 Part of a collection that includes 4 and 3 seater sofas, accent armchairs and footstools. 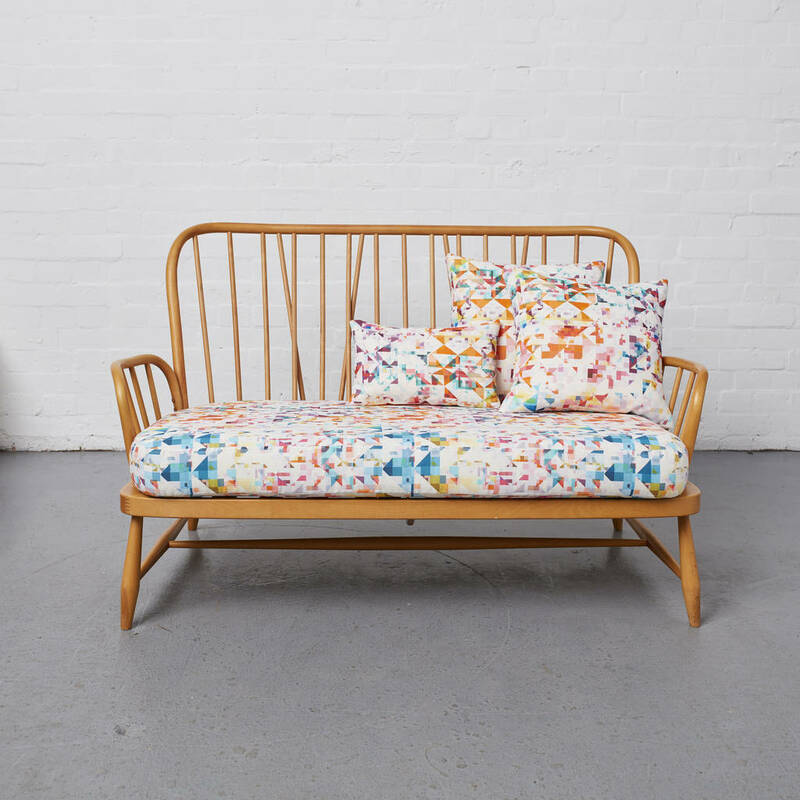 Equally as charming is the Windsor loveseat in classic floral fabric upholstery. Choose from scatterback or standard back to suit your style. Feet options in castors come in chrome/brass or standard static feet in antique/dark. 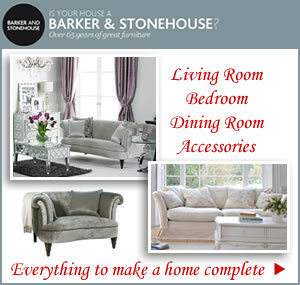 This range has three sofa sizes a wing chair, footstool and storage stool. Dimensions: Height: 97.0 Width: 130.0 Depth 99.0 cm. For great value with a contemporary edge the Zamba offers a curvy design in soft durable ribbed jumbo cord and faux leather. 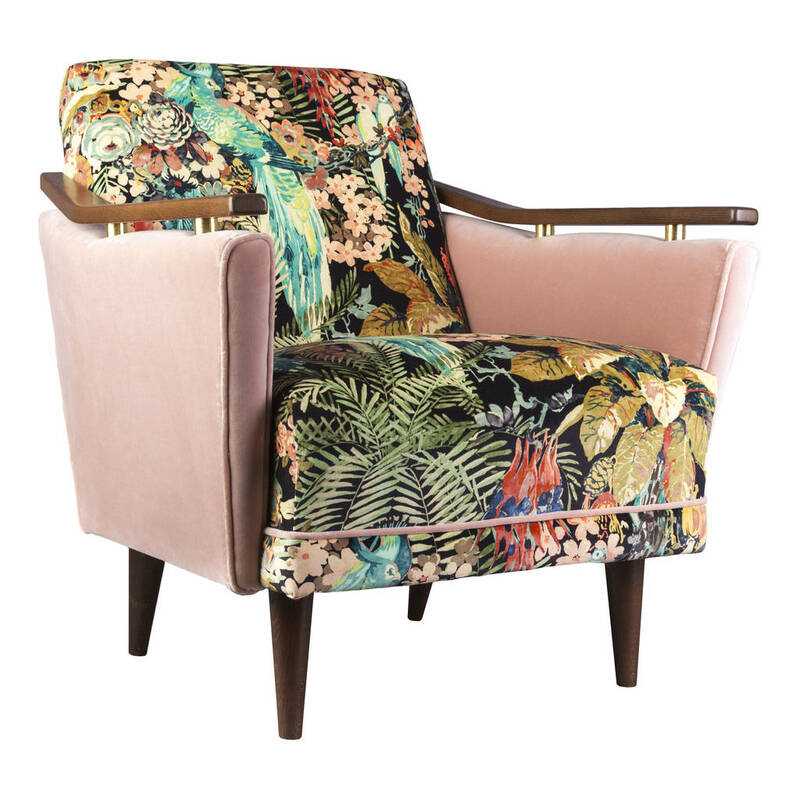 For a wide chair that is sure to impress look at the Alita. A high quality collection with a range of units to fit perfectly whatever your room size. A ultra modern design that will add a splash of colour where needed. 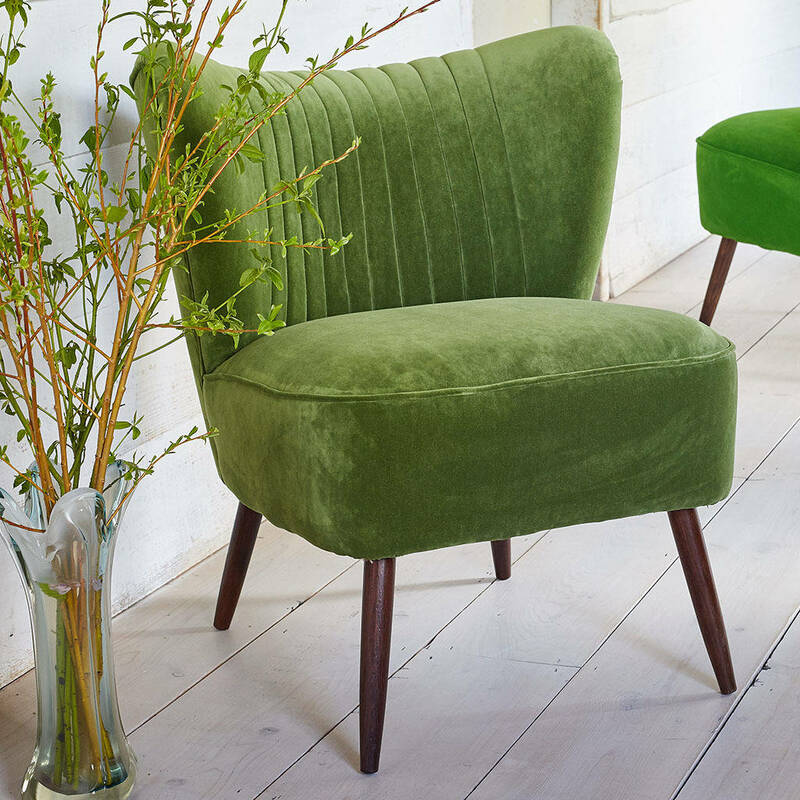 Fabulously soft with vibrant velvet scatter cushions is going to be hard to resist. In addition to the popular 3 and 2 seater sofas there are impressive corner units, twister chairs and matching standard sized chairs. Create a room that’s full of personality with a fun twister chair in luxurious leather or fabric. Work around your budget and select the price range, textures, colour and type of cover from a great selection of leather and fabric twister seats. 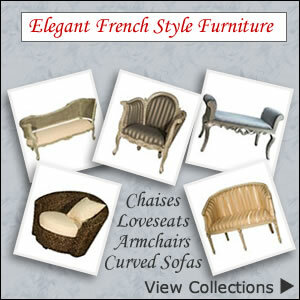 Features include generously rounded scroll arms and deep seat cushions in stunning finishes. 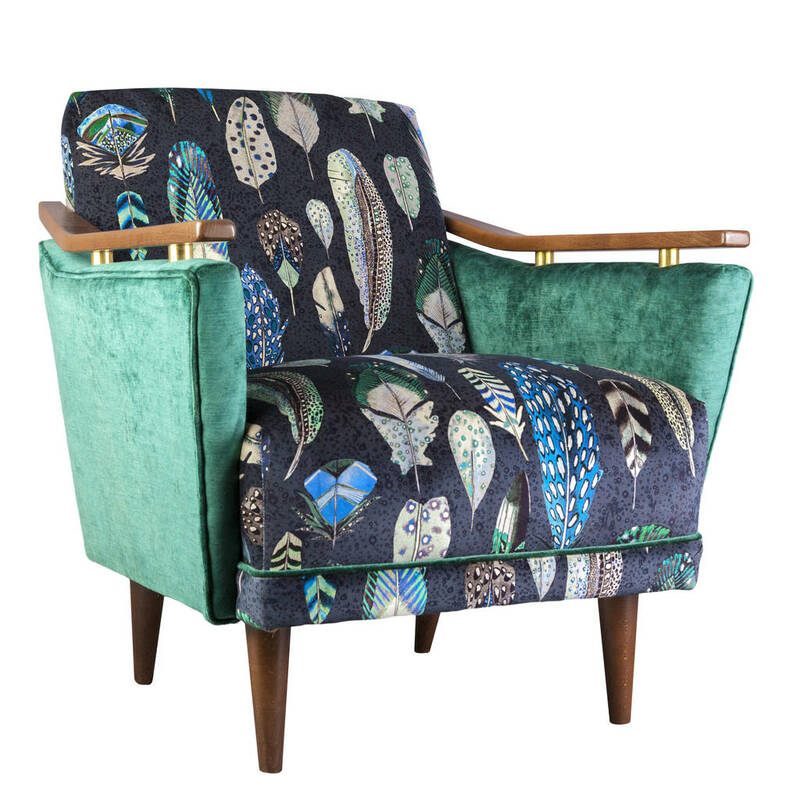 Styles such as the Lincoln has a seat in all sizes from small and large twister chairs and armchairs to love chairs and split sofa scatter back and standard back sofas and snugglers. 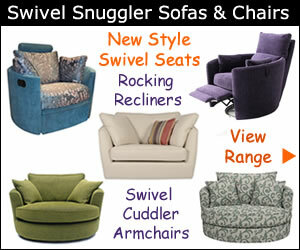 Traditional styled leather snuggler chairs and sofas at SCS give you the ultimate place to relax and unwind. Made from soft Italian leather the collection oozes sophistication and comes in a range of rich colours to blend easily with existing furniture. Choose from tan, dark brown, chocolate, red, taupe, beige, soft black, blue, ivory, lavender and lime green. There is also a range of composite leather that has the look and feel of natural leather but has increased durability with a more uniformed appearance. An easy clean option made from 70% leather and man made fibres.